SET THE TONE FOR YOUR FESTIVE TIME WITH DARING COLOURS, DELICIOUS AROMAS AND UNIQUE TEXTURES. 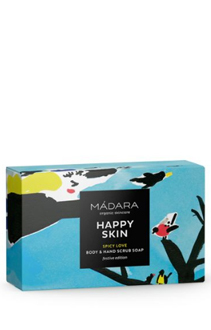 Here you’ll find something for everyone in your list – from scented soap and hand cream to radiance-boosting gift set at very special prices. All dressed up in original illustration by Swiss-based Latvian artist Anete Melece. 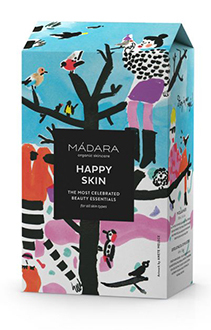 Enjoy the most celebrated beauty essentials for all skin types and turn this box into a real bird feeder! Melt every heart with this cinnamon-spice scented soap, enriched with massaging scrub particles. 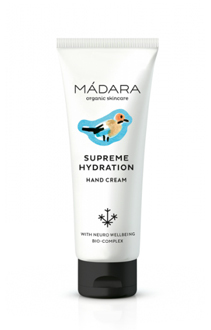 protected and silky soft hands. The perfect winter day, wrapped in elegant notes of jasmine and meadowsweet. 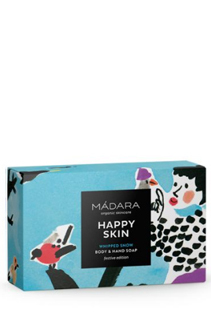 Shop MÁDARA limited edition gift collection online and in-stores.